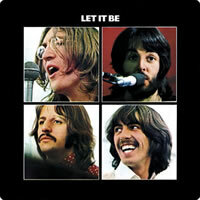 Let It Be was written by Paul McCartney - credited to Lennon/McCartney. Released: May 6th, 1970 from the album of the same name. In the Intro, you will notice several 'simile' marks (/). This is a form of 'repeat' symbol where you repeat the previous chord within the bar. The more commonly used repeat symbol is % where you have an exact repeat of the previous bar. Intro: | C / G / | Play C for 2 beats and G for 2 beats. This could also be written as | C - G | where the dash or hyphen between 2 chords in a bar means the timing for each chord is split evenly. What happens when there is a combintion like the following example. Intro: | F C-Dm7 C / | Here we have a bar with a dash & repeat sign. The time signature is 4/4 ( 4 quarter-note beats per bar). This can be counted as | 1 2 3 4 | or | 1& 2& 3& 4& |. If we use the | 1 2 3 4 | count, the bar would be viewed as |(F) (C-Dm7) (C) (C) |... 1 beat on F, 1/2 beat each on C & Dm7 (1 beat split evenly = 1/2 beat for each chord), and 2 beats on C.
If we use the | 1& 2& 3& 4& | count, the bar would be viewed as | (F&) (C-Dm7) (C&) (C&) |... the result is exactly the same (each entity is equal to 1/2 beat). 1/2 x 8 beats = 4 beats. Paul McCartney wrote the song after having a dream about his mother. In the dream Paul’s mother (died when he was 14) told him, "It will be all right, just let it be". This dream occurred during a very tense period for the band while they were recording their 'White' album. The single reached number 1 in the US and number 2 in the UK. 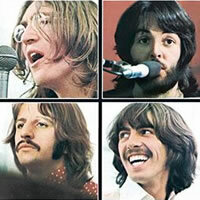 Won an Academy Award in 1971 for Original Song Score for the documentary film 'Let It Be'. It also won an Academy Award for Best Original Score written for a motion picture. The final single released by The Beatles before Paul announced he was leaving the band. 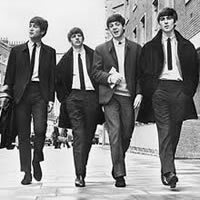 It is still very popular today and sits at number three in the 100 Best Beatles Songs list. 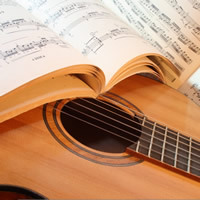 "Let It Be" chords and lyrics are provided for educational purposes and personal use only.